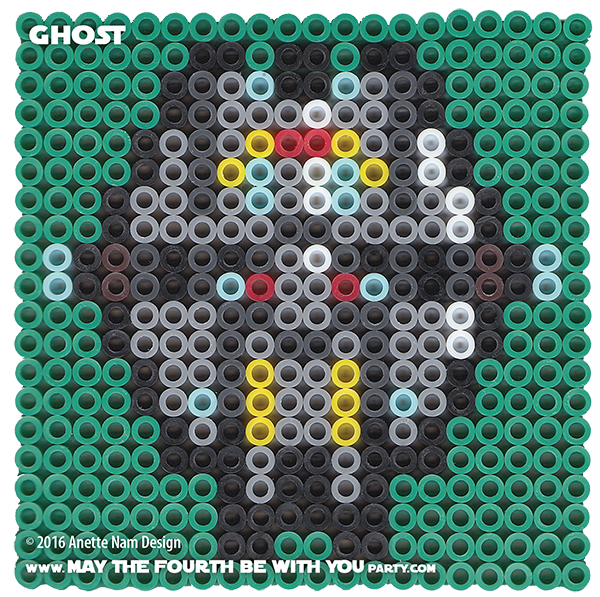 Some of you got your first glimpse of the Ghost in mid-2014 in the online game Star Wars Rebels: Ghost Raid. I saw it for the first time in the fall when the TV series made it’s debut. I was immediately drawn to the ship, as a character in itself. It took me a long while to put a finger on what it was about the ship I found so appealing. (I’m not a gal who normally gets very excited about the vehicles from Star Wars, that’s the Hubby’s’ department) However, when I found out that the Ghost started out as a Corellian Light Freighter (VCX-100), just like the Millennium Falcon (YT-1300f), it made total sense. The Millennium Falcon, of course, is THE ship. (I was close to tears when I first heard the words “Chewie, we’re home” in the original TFA teaser-trailer). The Ghost and the Falcon have some significant design similarities, but more importantly, the two ships FEEL the same: the same atmosphere, sense of camaraderie and a small crew. No wonder I immediately felt at home! 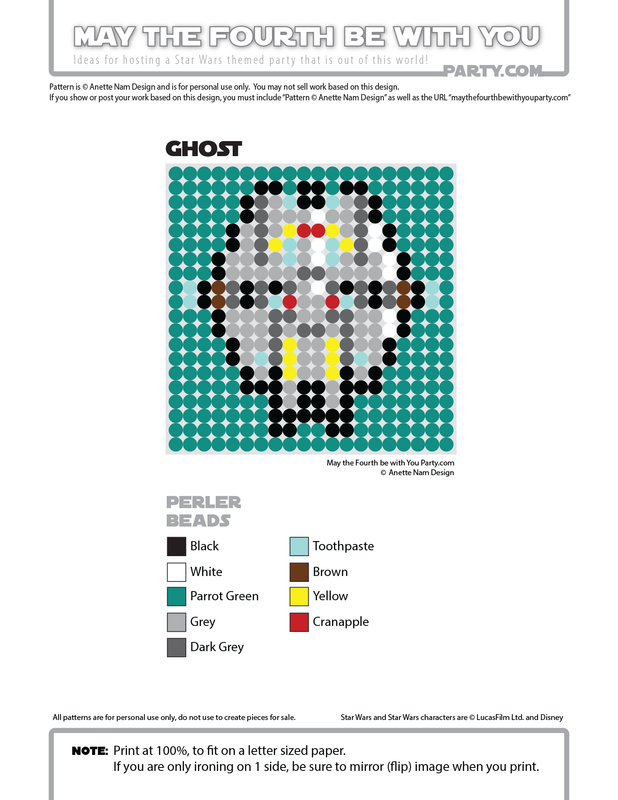 Ghost is #64 in the Perler bead/cross stitch/crochet/knitting/Lego/pixel/mosaic pattern series.